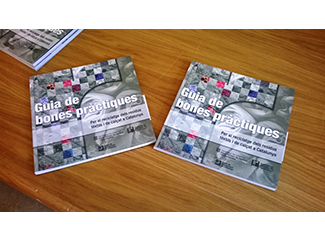 The Waste Agency of Catalonia (ARC) and the Gremi of Recuperació de Catalunya have driven the development of the "Guide to good practice for the recycling of waste textiles and footwear in Catalonia". This is a query tool to find out which treatment is this fraction. 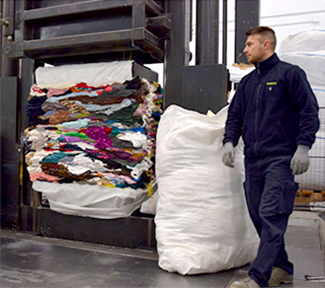 It is aimed at professionals, governments and the general public interested in knowing what happens to the clothing deposited at authorized collection points. The edition of this guide is good news for all entities dedicated to the management of textile waste. The regulatory framework in which the sector works is defined by the Law 22/2011 of 28 July on waste and soil contaminants. The textile waste should be separated at source by the citizens, so it is essential that the municipalities more intensely promote various tools for collection: specific points in clean containers, special containers in the street, shops, second-hand clothes also they act as collection centers, etc. In Catalonia there are 53 operators licensed for the management of textile waste although only two concentrate their main activity in preparation for municipal reuse textile waste. One is Humana Fundación Pueblo para Pueblo. 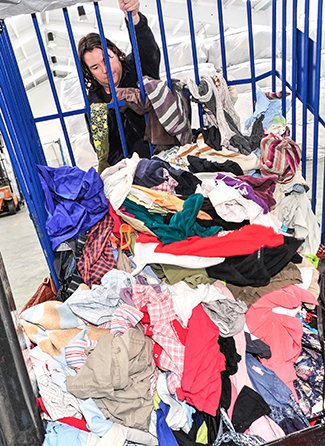 According to ARC, generating domestic textile waste in Catalonia in 2013 amounted to some 141,025 tonnes, of which only 7.8% (11,000 tonnes) were processed in plants authorized agents. Catalonia has a collection ratio of 0.86 kg / inhabitant / year. The textile fraction is the fifth in importance (4.1%) behind the organic (28.6%), paper and cardboard (11.2%), domestic light packaging (8.4%) and glass containers (7.6%). After its separate collection, these are the possibilities for textile waste: reuse (through sale in thrift stores or export to other countries), material recovery (by recycling and manufacturing rags, delete or new thread) and energy recovery or disposal. Economically, leading to savings in the cost of waste management and the acquisition of fabrics and raw materials for making new garments. Socially, it can be linked to social entities and involves the creation of jobs. Environmentally, it involves a significant saving of natural resources, water and energy. According to the guide, the percentage of textile collection should improve very significantly. Selectively collected fraction constitutes the greatest potential for reuse, a priority in European policies after prevention. The efficiency of management processes is very high, both as regards to preparation for reuse as material recovery. The guide highlights the implicit social improvement associated with this waste management activity. On the other hand, the Ministry of Agriculture, Food and Environment (MAGRAMA) and the Guild have recently signed a voluntary collaboration agreement to encourage and promote prevention and preparation for reuse and textile waste management.